It's been a while since you were at Dr. Song's clinic in China. How are you doing now? 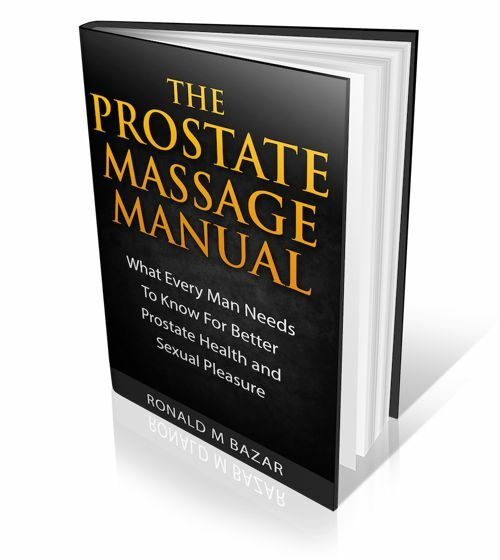 Did you start eliminating any of the crystallization from your prostate? Have you reduced your nighttime visits to the bathroom? Have you had to use a catheter? 2. Both current MRI and prostate fluid examination show all infection and pathogens gone from my prostate. 4. Now Dr Song is using shrinking medicine that is rapidly doing its job. The process does make you urinate a lot temporarily as he is administering high doses of extracted pharmaceutical grade traditional Chinese medicines with no other side effects. But this will subside as the day goes by. 5. He is very confident that I will be able to reduce the size very significantly while here and after I return home. It has already reduced much since the MRI 10 days ago. He can tell by the feel of the prostate. 6. It doesn't appear that I have much calcification so I am not discharging particles. Instead the cellular hyperplasia is being reduced by those injections. 7. We are both thrilled with the amazing progress that is happening. I have been a big challenge to his clinic because my prostate was way bigger than any he has treated before. Conclusion: if you want a treatment that deals with the causes of your condition, reverses them, and has no negative side effects, then this is the best in the world. No other treatment offered by conventional medicine can do this. Yes you could get robotic laser surgery etc. and may get some relief with the risks of side effects, but this is not a cure. A cure reverses and eradicates the causes. When you see the slides of the infections and pathogens gone from your prostate, then you can have true hope that your healing will happen. And it is for me. Yes you have to come to China. Yes you have to stay here for weeks at a time that can be broken up into 2 visits if you want. Yes you have to have treatments 6 days a week that last a few minutes and are somewhat uncomfortable but not a big deal. But this is truly the only method that I know of that can actually CURE your prostate. Happy is I at finding this prostate master. Will report more in future. I am here another 3 weeks. Comments for How are you doing now? looking at going for treatment, any way you can put me in contact with Clark? Ron here... I don't have email addresses. What happened during / after your last visit to China? So what happened during your last visit? How much did your prostate shrink during / after your last visit? What symptoms do you have now? How many times do you get up at night? Did any other symptoms go away? How much does it hurt to get the shots in the prostate? Do you like visiting China? Do you feel welcome there? Did you look forward to your last visit? The thought of a 12+ hour flight sounds horrible as I am tall and have long legs. Do you have any recommendations on choosing a flight or making the flight less disagreeable? 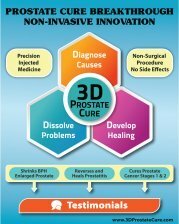 Which of the two 3Dprostate clinics did you use? Thanks, Ron, for any information you care to provide. "How much did your prostate shrink during / after your last visit?" Read my medical report on the 3D site... but from 220 down to 100. Unfortunately, I had in January 2015 Prostate Artery Embolization (PAE)... Dr Song says it decreases the blood flow needed to flush out the particles broken up by the injections... so I am not discharging enough and will need to go back for assistance in that. Normally it would continue to shrink back home over the next 6 months. I wish I had not done the PAE, but that's hindsight at work. I met and became quite friendly with Dr Pisco the originator of the procedure in Portugal. I feel badly about no longer being able to recommend the procedure but Dr Song explained he just had quite wonderful results with a man with 160 grams size prostate who now goes only 5-6 hours. So I still have symptoms because the debris needs to come out as they can irritate the urethra. I am going back Feb 28th. "How much does it hurt to get the shots in the prostate?" Well it hurts a bit like any needle but it is manageable. Not pleasant but doable. "Do you like visiting China? Do you feel welcome there? Did you look forward to your last visit?" I like China and the people are friendly and helpful. But it is very different as is the food. You can find western food if you prefer quite easily there. In Xiangtan where I was there are very few westerners. The city is very safe anywhere you go. Police have only one weapon that I saw: a whistle! No guns, no sticks, no armor etc! I flew China Eastern... very affordable but the seats are tight like most airlines... so I just get up often from an aisle seat and walk around whenever I can. Hey Clark, I like your perspective! Just had the daily treatment this morning and he says my prostate has now shrunk half from where I began when here before... and it will continue to shrink in the next 3 weeks while here, and then after I go home. I can feel the prostate change from day to day, and so can I while he is doing it... less discomfort each day. Thank you for the great report. I'm planning a visit to his clinic. I want a doctor that finds the root cause of a problem and doesn't just seek some level of symptomatic relief. Unfortunately we don't have any of those in the US...certainly not for prostate. I'm happy to hear you are doing so well. As far as having to visit China, I consider that to be a plus.